EDU6978 – Introduction to STEM Research was an enjoyable course that helped me better understand the STEM model and ways of implementing formative assessment techniques in my classroom. The course started by introducing the initial purpose of STEM, as a way to integrate math, science, engineering (problems solving) and technology into high school courses to prepare students for work in industry. We discussed there are different models for STEM that are being implemented, sTEm, SteM, S | T | E | M and STEM. Each capitalized letter represents an emphasis a school puts on each subject, while dividers separate the courses into discrete subjects not connected. We learned that the intent of STEM was to share the responsibility equally over all four topics and help students notice as many connections between these as possible. While discussing formative assessment, my biggest take away from the course was the sections about how to appropriately question students. Wiliam’s (2011) Embedded Formative Assessment book. From this section, Wiliam (2011) stresses using randomness to select students for answering questions in class for assessment. Randomness allows teachers to hear all students equally, not just the most vocal and engaged in class. Additionally, Wiliam cites research (Brosseau, 1984) who suggests participation should not be optional and that students must be held accountable for answering questions by the teacher to remain engaged in the content. To aid in this, teachers should ask questions first and then select students to respond, this helps students to always be ready to answer. As soon as a solution is deemed correct, students stop thinking so it is important to avoid Initiate-Respond and Evaluate (IRE) style classroom banter. I had never thought bout making answering mandatory and have been searching for ways of helping include all students in class. 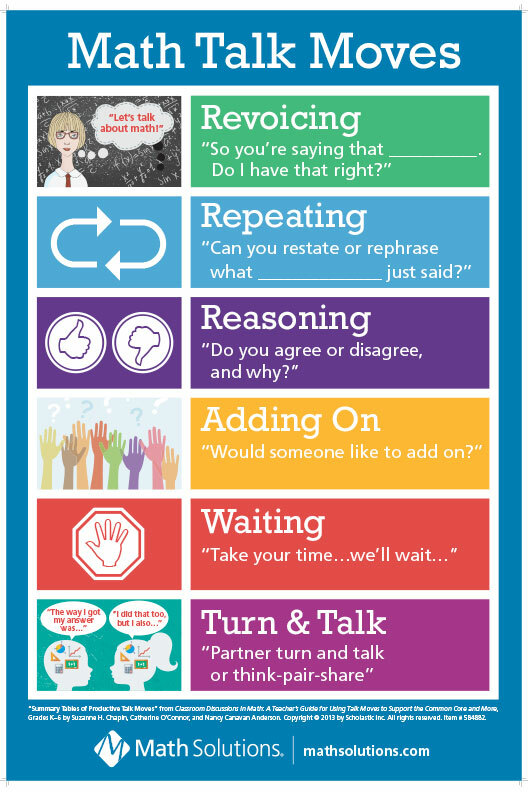 While watching the questioning presentation for module 3 and talking with another teacher at a conference over the summer, I learned about Talk Moves. These are a way for teachers to ask questions of students and help them explore more, some examples include revoicing student statements to help them hear about their reasoning (even if their logic is flawed), saying, “tell me more about that” to help students articulate their thinking, asking another student to restate a comment, waiting for students to think while responding to the group and more. As I continue, I want to improve my questioning skills and ability to help ask questions that make students think. I would really like to improve as a questioner in helping students think without scaring students away from the conversation. I have already set a goal to write some socratic questions, possibly those used in talk moves, and will work at incorporating these more into my rhetoric as a teacher engaging students in inquiry learning. I am really excited to implement some of this research, I think that the Embedded Formative Assessment book by Wiliam (2011) is has several practical, simple to implement ideas that improve teachers instruction and help students become more aware of their learning, understandings and misunderstandings. Now that I have this knowledge, it’s time to introduce the students. Brousseau, G. (1984). The crucial role of the didactical contract in the analysis and construction of situations in teaching and learning mathematics (G. Seib, Trans.). In H.-G. Steiner(Ed. ), Theory of mathematics education:ICME5 topic area and miniconference (Col. 54, pp. 110-119). Bielefeld, Germany: Insitut für Didktik der Mathematik der Universität Bielefeld. Wiliam, D. (2011). Embedded formative assessment. Solution Tree Press. This entry was posted in Uncategorized and tagged discussion, formative as, Questioning, STEM Research, talk moves. Bookmark the permalink.